The 23-year old Rabada has been in quite impressive form in recent. It would seem to many that Kagiso Rabada and his career has taken off to quite an extent in the Test match scene. Bowling with fearsome pace and finesse, the 23-year old South African pacer has indeed lived up to the billing. In the first Test match on the 2018 tour of Sri Lanka, the youngster reached another landmark in his career. Having just turned the year and become 23 just the previous week, Rabada has seemingly struck gold and has managed to become the youngest to take 150 Test wicket. This achievement also comes after having played just the 30 odd Test matches, something the youngster certainly has taken into his stride. Another aspect of the ordeal that will please the youngster will be the fact that only three bowlers have taken 150 wickets at the age of 23. Legendary Indian all-rounder and former captain Kapil Dev was the first to take 150 wickets at 23 years and 155 days before his record was eventually broken by Harbhajan Singh. Pakistan spinner Saqlain Mushtaq and former fiery pacer Waqar Younis reached the milestone at the ages of 24 respectively. All the other players on this list barring Rabada have gone on to have rather profound international careers with the likes of Kapil Dev and Harbhajan Singh ending up winning World Cups in 1983 and 2011 as well. 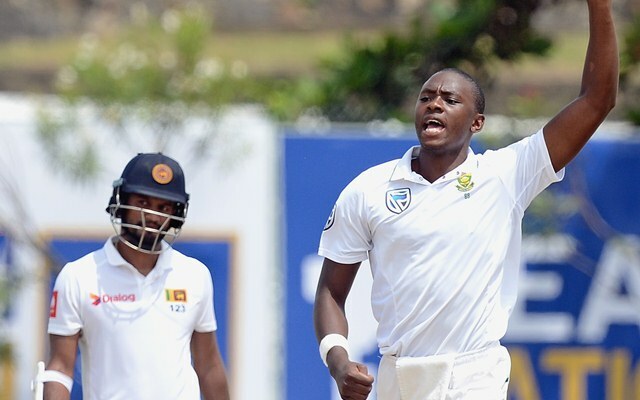 While Rabada might have reached the milestone in some style, the Proteas are curently struggling in the first Test against the Lankans at Galle. With the wicket proving to be a rather diabolical one in terms of spin, it certainly is commendable that the young South African pacer has managed to pick wickets on a slow and low track.